Adair resident Eric Coomer says the internal battle he’s faced as a result of a horrific Feb. 1 car crash has been one of the toughest things he’s ever had to face. “Patience has never been a strength of mine but I’ve learned that in some situations you are forced to have patience,” says Coomer. Coomer had just left a local convenience store for coffee and breakfast on the morning of Feb. 1 when his life changed in the blink of an eye. Coomer was driving a 2005 Nissan on his way to Roy Anderson Lumber of Tompkinsville when his car was struck in the passenger side by an SUV that failed to stop at a red light at the intersection. Coomer was treated on the scene by Adair County EMS and transported to T.J. Health Columbia before being transferred to UK Hospital by helicopter via Air Evac. Eric’s left leg was broken in four places; the tibia was broken in two places, the fibula in one place, and his malleolus was broken in the ankle area. Coomer lost a small part of his left thumb and his right leg had to have a few stitches in the shin; Coomer also had a tear in the calf muscle of his right leg and something went through his left knee during the wreck. Eric has relied on help from his mother and his son for the past several months while recovering at home. Eric says that it has been tough to deal with immobility and he struggled through the first few weeks of bed rest. Coomer slowly regained some strength after using a walker for nearly six weeks and the help and support of friends and family has carried him along this journey. 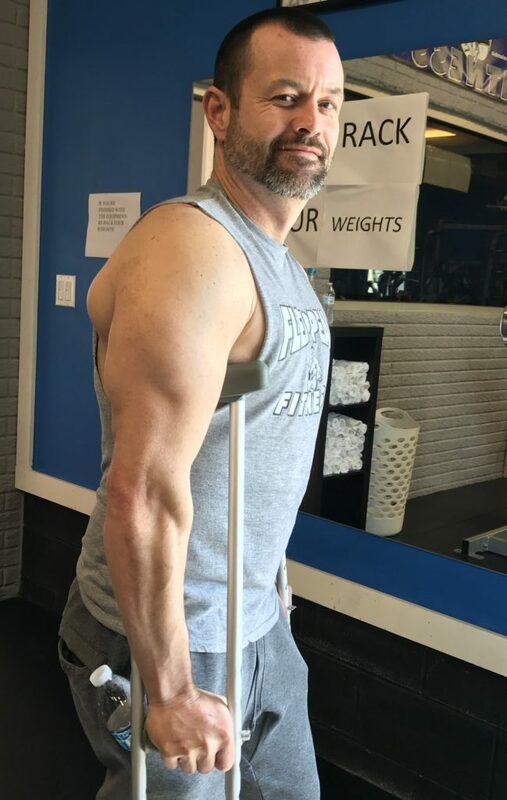 Eric was a loyal member of Flex Appeal Fitness before the accident and he returned to the gym in early April to start working on building his body back up. Eric has been doing physical therapy at home over the past couple of months too to help speed up the recovery process. His doctors say he should be able to make a complete recovery, although the titanium in his leg is there to stay. He is excited because he recently returned to work doing half days. 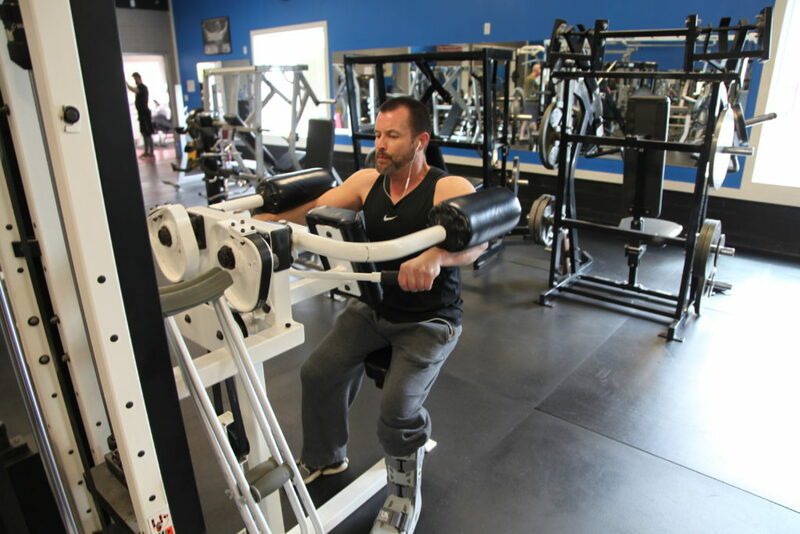 Loyal Flex Appeal Fitness member Eric Coomer says that getting back to the gym has helped him recover from several serious injuries sustained in a wreck that occurred on Feb. 1. 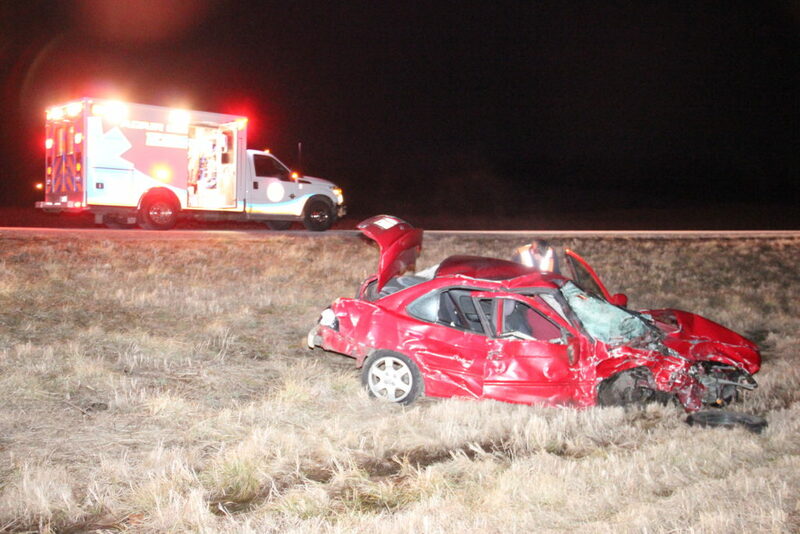 A picture from the Feb. 1 early morning wreck that sent Eric Coomer to UK Hospital via AirEvac.